This entry is to document my experience with the Windows 10 feature Unified Write Filter (UWF); with the intention to replace DeepFreeze on shared computers. "Unified Write Filter (UWF) protects the contents of a volume by redirecting all write operations on that volume to the overlay, which is a virtual representation of the changes to the volume. Conceptually, an overlay is similar to a transparency overlay on an overhead projector. Any change that is made to the transparency overlay affects the projected picture as it is seen by the viewer. However, if the transparency overlay is removed, the underlying picture remains unchanged. In a UWF protected system, UWF creates a single overlay, which contains information about writes to all protected volumes on a system. The overlay supports up to 16 terabytes of protected volumes." How to install the UWF feature ? The Windows 10 feature can be installed in several ways; the offline Wim file via DISM, PowerShell, Manually via Control Panel GUI, Provisioning package or WMI. All methods are detailed here. 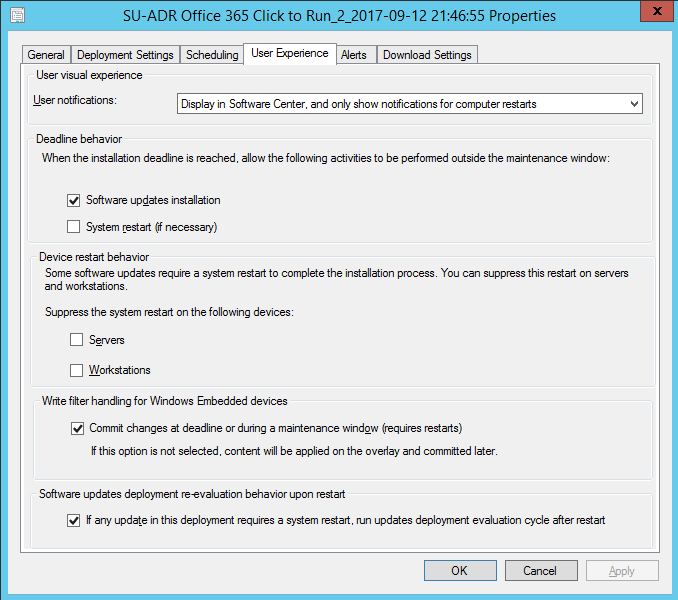 If you use the SCCM with the MDT this OS Feature can be enabled during the Task Sequence with the step "Install Roles and Features". This can be taken further and applied to an MDT Database Role that is "Gathered" during the task sequence; far more dynamic and less steps/logic involved within the Task Sequence. The ID for each Role and Feature can be found in the ServerManager.xml file located within the Microsoft Deployment Toolkit folder. Exactly like the PowerShell Feature name you will find the ID "Client-UnifiedWriteFilter" within this XML. This ID can be added to the MDT Database under the OS Roles> OSFeatures. If you need to apply multiple Features simply separate the ID's with the use of commas. The end result will provision Windows 10 with the UWF feature installed. NOTE: The UWF feature must be installed prior to the SCCM client being installed. How to Enable the UWF feature ? After the Feature is installed and the computer rebooted there will be a utility called "uwfmgr" within the System32 folder. To enable the feature on the command line, call this utility with the following commands. Through trial and error we have established a list of file, folder, and Registry Exclusions that should be exempt from UWF to maintain GPO, logs, and SCCM activity. uwfmgr file add-exclusion "C:\ProgramData\Microsoft\Windows\Start Menu\Programs\Microsoft System Center"
uwfmgr file add-exclusion "C:\Program Files\Windows Defender"
uwfmgr file add-exclusion "C:\ProgramFiles(X86)\Windows Defender"
uwfmgr file add-exclusion "C:\ProgramData\Microsoft\Windows Defender"
uwfmgr registry add-exclusion "HKEY_LOCAL_MACHINE\SOFTWARE\Microsoft\Windows Defender"
uwfmgr registry add-exclusion "HKEY_LOCAL_MACHINE\SOFTWARE\Microsoft\Windows NT\CurrentVersion\Time Zones"
How to Service UWF enabled Windows 10 computers? SCCM is UWF aware and when Software Updates are deployed the SCCM client will reboot the system with UWF disabled, and lockout the system to non admins. Once the Updates are installed the system will reboot again enabling UWF. The "Write Filter handling for Windows Embedded devices" when enabled will trigger the Client notification to restart with UWF disabled. 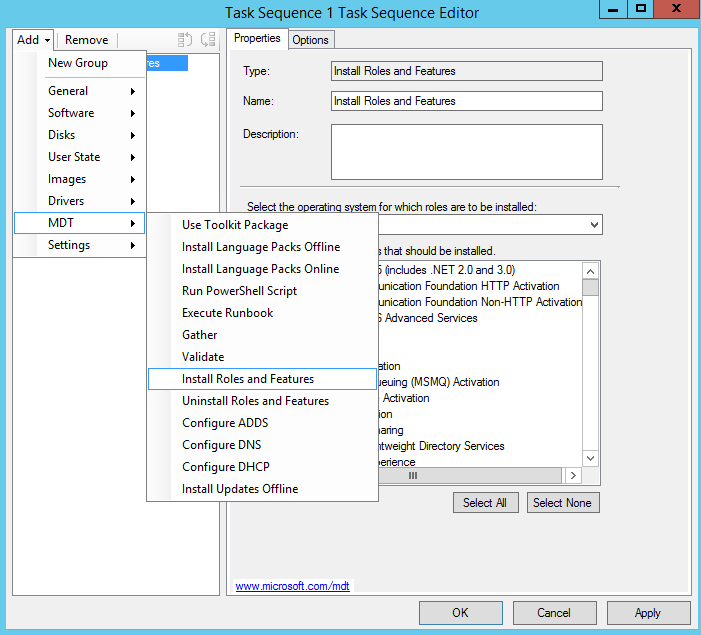 How can I use the MDT Install Roles and Features task in a task sequence so that it will enable UWF before the client is installed? The Install Roles and Features task requires that the operating system be online, but the task, Setup Windows and ConfigMgr, that switches from WinPE to the deployed OS also installs the CM client. Hi Rob, From my experience your Task Sequence can install the OS, Drivers and SCCM client, then install the apps and then UWF via a "Install Roles and Features" step. Once the Task Sequence is complete the SCCM Client will initialize for the first time and install the additional UWF aware features/actions/components. Hey, how would you enable UWF before client install in SCCM CB? I just used the option to enable it in my WIM files offline, then updated content in SCCM. I'm not worried about having it installed on all of my systems since it doesn't do anything until you turn on protection on a volume. Hi Adam, I am glad you found a solution for your environment. The process i was trying to promote was not just for the UWF feature. 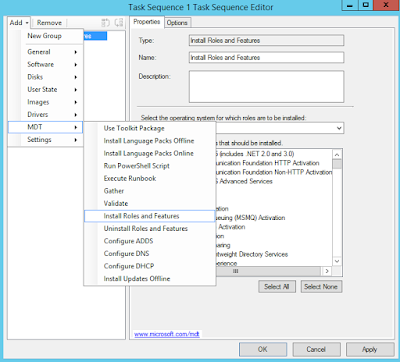 By integrating the MDT database you can set multiple OSFeatures dynamically in the database but you only need to have one step in the Task Sequence for all builds. Does the version of SCCM matter when it comes to being aware of UWF? We use SCCM 2012 R2 CU3 in our environment. How to write a script than can shows overlay get-consumption memory. Actually i have some thin-client which are configured with kiosk mode and in UWF enbale environment system must reboot in certain time when overlay cache memory get exhausted, while user using in kiosk mode so they can see the UWF icon to notice that overlay memory is exhausted. I am planning to integrate some script in the monitoring solution that can shows overlay consumption and its size, so from one interface we can see ok these clinet needs to be rebooted.